Is it just about time for you to do routine maintenance on your home’s HVAC system? Or do you need an emergency repair made to your business’ HVAC system so that you can start heating or cooling it again? Either way, you should always make sure that you call on the right HVAC contractor in your area to get the job done. 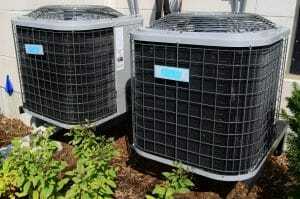 It’ll ensure that you get the best possible service on your HVAC system in a timely fashion. Locating the best HVAC contractor in Augusta, GA can be a bit of a challenge. There are so many options for you to choose from. And when you first start looking around for one, you’re going to find that many of them offer the same services and make the same claims about being the best in the business. Here is how to find the right option for your home or business. Everyone who owns a home or business needs to call on an HVAC contractor once in a while. It’s impossible to live or work somewhere for more than a few years without having some maintenance done to your HVAC system. With that in mind, one of the simplest ways to find a reputable contractor in your area is by calling on your neighbors for help. Check around with a few of your neighbors and ask them which HVAC contractors they use when they need to have maintenance done and repairs made to their HVAC systems. By speaking with just a few neighbors, you should be able to get the names of several different contractors that would be good. You can also reach out to any other friends or family members who might live in your area to get the names of additional contractors. In a perfect world, your neighbors will be able to provide you with the best HVAC contractors. But in the event that they’re not able to set you up with great recommendations, your next best bet is to turn to the internet for help. Within just a few minutes, you can use Google to find a long list of HVAC companies in your area. You can also find reviews for each individual company left by those people who have used them for HVAC services in the past. You should read through as many reviews as you can for each company to see what people have said about them over the years. Try to find both positive and negative reviews so that you get a good overview for each contractor. By taking this approach, you’ll be able to provide yourself with an overview of each company. You can narrow down your search to only the companies that seem to have good overall reviews from customers. 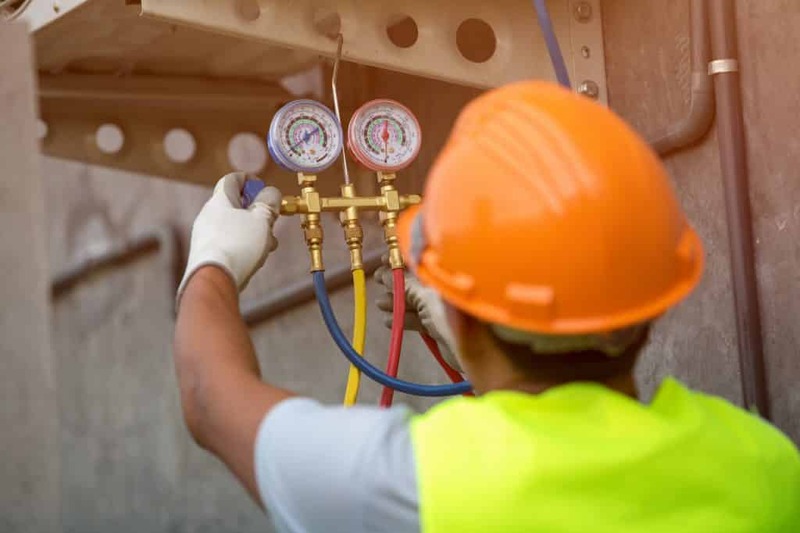 At this point, you should have a list of approximately five to seven HVAC contractors that you’re interested in hiring to work on your HVAC system. You’ll almost be ready to call around to a few of them to see if they’re available to provide you with the services you need. Before you take that step, though, you should browse through each HVAC contractor’s website to get a better sense of what they’re all about. Take a close look at everything from their “About Me” page to their blog to see what you can find out about them. You should also make sure that they offer the services that you actually need. There are some HVAC companies that only work on commercial HVAC systems and others that specialize in doing maintenance as opposed to repairs. Your goal should be to trim your list of HVAC companies down to about three by using their websites. This will make things a lot easier when you start calling around to companies. After you’ve spent some time poking around on HVAC companies’ websites and seeing what you do and don’t like about each company, you’ll want to reach out to several of the contractors you like best. Give each contractor a call and ask them a series of questions about their companies. They should be more than willing to speak with you and share information about themselves. Do your best to find out everything that you can about a contractor. You want to feel completely comfortable when you welcome them into your home or business to provide you with HVAC services. There are a lot of home and business owners who get entirely too hung up on cost when hiring an HVAC company. They want to find the company that will charge them the least and don’t pay any mind to the other factors that should be involved. While cost should obviously be a concern, you shouldn’t just hire the HVAC contractor that will charge you the least. They might not be the best possible contractor for the job and could end up doing more harm than good to your HVAC system. Search for the best contractor in Augusta, GA instead. 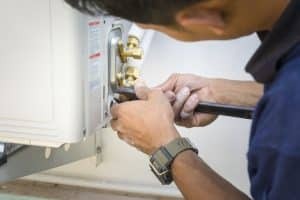 They’ll do work the right way and make sure your HVAC system is in great condition before leaving your home or business. Are you having a hard time finding the best HVAC contractor in Augusta, GA? We would love to tell you more about the excellent services we can provide for both homeowners and business owners alike. Whether you need AC maintenance or a heating system installation done, we can take care of all your HVAC needs. Contact us today for additional information on our company and our services.